The MOBI Herbal is based on those herbs that have been most frequently discussed on the MOBI Support Group over the years. Most are galactagogues – herbs taken specifically to increase milk supply. There are two exceptions: Echinacea, to be taken at the first sign of inflammation to prevent mastitis, and valerian, taken at low dosage to help sleep-deprived mothers find restful sleep, even when they continue to wake up during the night. While most mothers use lactogenic herbs or foods for a short time to give their supply a boost, others depend on them to maintain their supply for as long as they produce milk. Some of these mothers find that herbs or foods lose their effect with time; apparently, the mother’s body becomes desensitized to the herb or food. The solution is to take a new herbal galactagogues and lactogenic foods. These will probably need to be taken at high dosage for a few days in order to kick in. Once the milk supply rebounds, reduce the dosage to maintenance dosage. At a later time, you will probably find that your responsiveness to the original herbs or foods is restored. Alternating between different herbs and foods every few days can help prevent the body from becoming desensitized to any particular galactagogue. Read articles about building milk supply and pumping on this website to be sure that your breasts are receiving adequate stimulation and removal of milk. Alfalfa leaf is said to promote the development of the glandular tissue of the breasts. It can be taken both during pregnancy and after birth by mothers with a history of low milk supply. Taken after birth, it increases milk supply and is reported to increase the fat content of breastmilk. Incidentally, so do other so-called "green foods." Alfalfa leaf is one of our most nutritious herbs. It contains chlorophyll, a host of minerals-calcium, magnesium, phosphorus, potassium, silicon, zinc-numerous vitamins-A, B1, B2, B3, B5, B6, C, D, E, and K-as well as essential and non-essential amino acids. Alfalfa leaf is estrogenic and antifungal. It has substances that nourish the liver, activate the kidneys, suppress inflammation, address digestive disorders, and balance blood sugar. It is traditionally prescribed to promote the function of the pituitary gland, the source of the main hormones for lactation. The minerals in alfalfa leaf are well balanced and easily absorbed; pregnant and lactating women therefore frequently take alfalfa leaf as a mineral supplement. Of Note: Because alfalfa is a powerful galactagogue, mothers with normal milk supply should reduce or discontinue alfalfa a few weeks before due date. Mothers with a history of low milk supply should be cautious as well, especially if their breasts show signs of better development this pregnancy. Oversupply can reportedly develop in these mothers as well. Pregnancy: Safe. Estrogenic. Although alfalfa can be taken to promote menstruation, there are no warnings regarding pregnancy. That said, do not overdose! Side Effects: Diarrhea or loose stool in the mother or baby. Reduce the dosage for a few days. Caution: Do not over-eat alfalfa sprouts or seeds. These may trigger an auto-immune, Lupus-like condition in sensitive individuals. The American Pharmaceutical Association warns that persons with systemic lupus erythematosus should avoid alfalfa products. Sheila Humphrey however, in "Nursing Mother's Herbal," says that the questionable substance does not exist in the leaf, and that the leaf supplement should therefore not be a problem. Sources: Health-food stores; whole foods stores; herbal pharmacies; online stores. Infuse 1-2 handfuls in a quart of water, steep overnight. Alfalfa Supplements: Up to 8 capsules per day. Dried juice powder: 1 tablespoon, two times per day. Homeopathy: X30 is used in combination with Lactuca virosa X30 for exhausted, nervous, stressed mothers. Anise seed is a sweet carminative spice-carminative because it soothes the intestine, is anti-spasmodic and anti-inflammatory, reducing cramps, relieving flatulence and improving digestion. Anise seed tea was taken in ancient Greece to "bring down the milk." In China, both anise seed and star-anise are used as a galactagogue. It is best to avoid star-anise, as commercial products may be contaminated with Japanese star-anise, which is toxic. Umbel seeds, including anise, share the following properties: they are estrogenic and relaxing (sedative); they support digestion, relieve flatulence (may ease a baby's colic through the mother's milk), and they aid in treating bronchitis and bronchial asthma (are anti-spasmodic). Pregnancy: The American Herbal Products Association lists anise as unsafe during pregnancy (class 2b). It has been used in traditional medicine to promote menstruation, suggesting that it could trigger miscarriage. Ayurvedic medicine, the school of medicine from India, also warns against anise during pregnancy. Allergy: Anise seed occasionally triggers allergic reactions of the respiratory tract, gastrointestinal tract, and skin. Sources: Spice sections of grocery stores and health food stores. Dosage and Preparation: see also Umbel Seeds. Anise tea: Gently crush 1 - 2 teaspoons of anise seeds, and cover with one cup of boiling water. Cover and steep between 5 - 20 minutes. Sweeten to taste. Take 3 cups a day. To kick start milk production, take up to 6 cups of anise tea for two to four days, carefully observing your and your baby's reaction. Infusion: In Eastern Europe, umbel seeds such as anise are covered with boiling water and steeped for four hours before drinking. Black tea is listed as a galactagogue. 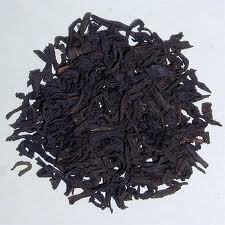 Mothers sometimes report that drinking black tea increases their milk production. Be careful however not to rely on tea, coffee, chocolate or sugar for energy throughout the day. This dependence can result in blood sugar issues and related insulin problems that are not good for your health or your milk supply in the long term. 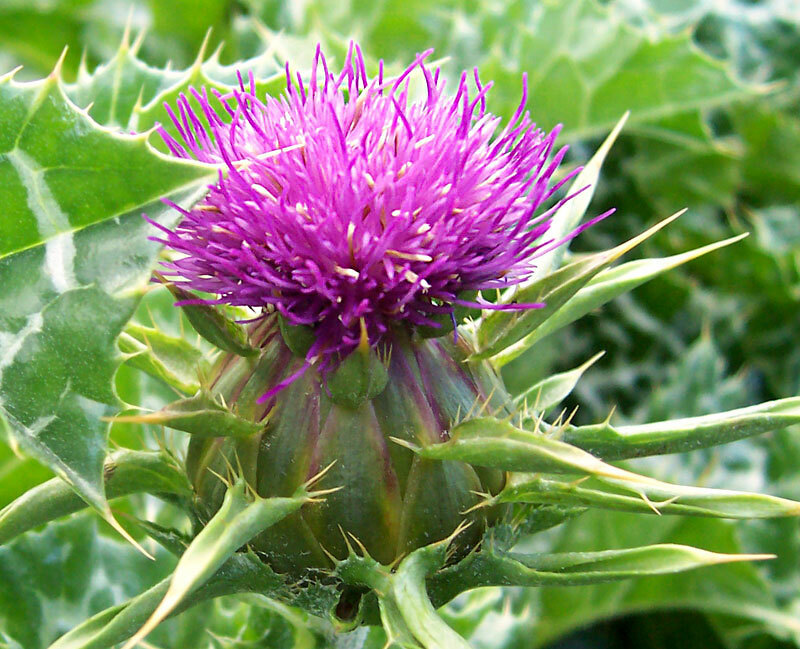 Blessed thistle increases the flow of gastric and bile secretion. 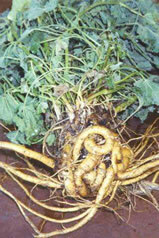 It is used in the treatment of stomach, intestines, liver, and gall bladder disease. It increases appetite and reduces flatulence. Remember that bitter teas need to taste bitter in order to trigger the release of gastric juices and stimulate the production of bile, so do not over-sweeten this tea. Pregnancy: Avoid use during pregnancy. Allergy: Rare. People who are allergic to the daisy family, (Asteraceae), may be allergic to blessed thistle. Caution: Stimulates gastric juices; persons with ulcers, hyperacidity or acute stomach inflammation may be advised not to take blessed thistle. Side Effects: Rare. Diarrhea in the mother. Tea: Pour a cup of boiling water onto 1-2 teaspoons of the dried herb. Steep for 5 - 10 minutes. Drink three cups a day, before meals or snacks. To kick-start lactation, take up to 6 cups a day. Capsules: Up to 3 capsules, 3 times a day in combination with other herbs such as fenugreek. Caraway is a tangy carminative spice-it soothes the intestine, is anti-spasmodic and anti-inflammatory, reducing cramps, relieving flatulence and improving digestion. Use caraway when cooking vegetables that are difficult to digest, such as cabbage or cauliflower-important if your baby has colic or is fussy. Umbel seeds, including caraway, share the following properties: they are estrogenic and relaxing (sedative); they support digestion, relieve flatulence (may ease a baby's colic through the mother's milk), and they aid in treating bronchitis and bronchial asthma (are anti-spasmodic). Pregnancy: Ayurvedic medicine from India warns against taking large amounts of warming herbs, including caraway, during pregnancy. Caution: Mothers of lethargic babies should avoid taking large amounts of herbs that have sedative effects-such as hops and umbel seeds-as these could possibly make their baby sleepier. Lethargic babies should see their pediatrician as soon as possible. Caution: Traditional Chinese Medicine warns that warming herbs, such as umbel seeds, should not be taken in large amounts by mothers who tend to develop breast infections. Sources: Spice section of grocery stores, whole-food stores, online stores. 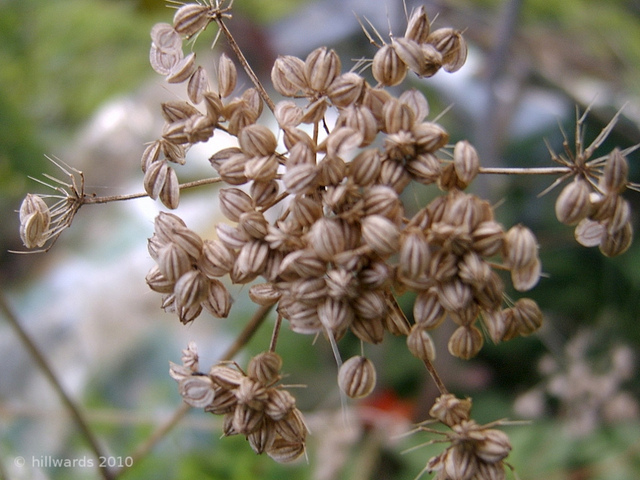 Dosage and Preparation: see Umbel Seeds. Health-food stores and super-markets often carry a mixture of herbs from local producers that support breastfeeding, known as lactation tea. A variety of brands and mixtures are available. Check to see whether the ingredients, at least some of the ingredients, are organically grown. Check to see if they are fresh. Fresh ones should maintain color, not look dried and faded, and should smell intensely. 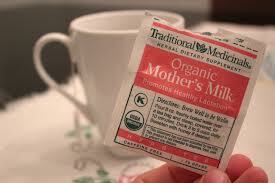 Mother's Milk® Tea from Traditional Medicinals has an excellent reputation, though some mothers find it very bitter. Quality tinctures to increase milk production are available from online sources such as motherlove.com, and birthandbreastfeeding.com. Sources: Grocery stores, health-food stores, online stores. Cumin gives curries their zing. It is a well known galactagogue. 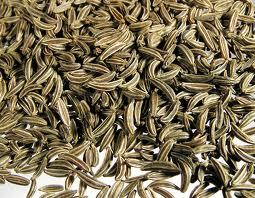 Like all umbel seeds, adding cumin to a meal will make it easier to digest. This can be helpful if your baby has colic or digestive stress. One mother from Africa spoke of the women in her community eating small green lentils with plenty of cumin and tomatoes to increase their milk production. Umbel seeds, including cumin, share the following properties: they are estrogenic and relaxing (sedative); they support digestion, relieve flatulence (may ease a baby's colic through the mother's milk), and they aid in treating bronchitis and bronchial asthma (are anti-spasmodic). Pregnancy: Ayurvedic medicine from India warns against taking large amounts of warming herbs, including cumin, during pregnancy. Sources: Health-food stores; whole foods stores; herbal pharmacies; Asian stores; online stores. Some of our common weeds were brought over to the US from Europe by early settlers who appreciated their nutritional and medicinal values. Among these are thistles and the dandelion-plants that are valued in the Mideast and Asia as galactagogues. The common dandelion is nutrient-rich and contains calcium, iron, magnesium, manganese, phosphorus, potassium, selenium, zinc, vitamins B1, B2, B3 and high amounts of vitamin C and beta-carotene. The dandelion is said to support the liver, increase bile production, reduce cholesterol and uric acid levels, and improve the functioning of the kidneys, spleen, pancreas and stomach. It is used for fluid retention, anemia, constipation, abscesses, boils, cirrhosis of the liver, and rheumatism. It is also used in the treatment of hepatitis and jaundice. In China, varieties of the dandelion have been used since ancient times to treat breast problems such as cancer and mastitis, and for increasing milk production. If dandelions grow naturally near you, and are not exposed to pollution or pesticides, try eating a few of the leaves every day for their support of your milk supply. Native Americans quickly realized the value of dandelion and thistles; dandelions are recorded as a galactagogue in the Native American medicinal cornucopia. Allergy: Rare. Persons allergic to the daisy family (Asteraceae) may be allergic to dandelion. Skin rash. 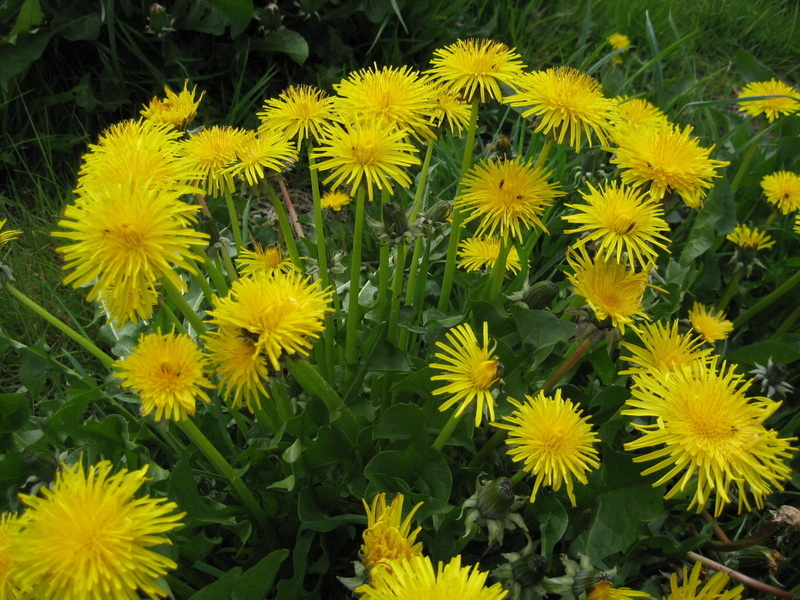 Warning: Dandelion is an herbal diuretic, and should not be combined with prescription diuretics. It is not recommended for people with obstructed bile ducts, or gallbladder empyema. Use only under the guidance of your physician if you have gallstones. Caution: German herbalists suggest that dandelion only be used at therapeutic dosage for 3-4 weeks at a time. Sources: Health food stores; herbal pharmacies; online stores. For a baby with jaundice, yarrow, a gentler liver-herb, is the medicinal of choice, to be taken by the breastfeeding mother, one cup a day. Homemade dandelion root medicinal: Pull dandelions from the garden, (if you do not use chemicals on your lawn), preferably before the plant begins to flower in the early spring. Wash the roots, slice in half lengthwise, and chop into small pieces. Spread the pieces out in one layer and allow them to dry in a cool, dry, shady place for two to three weeks. Tincture: 1 - 2 ml of the tincture, or 10 - 15 drops 3 times daily. Capsules: Follow directions on package. Infusion: Soak 1 tablespoon of roots in 3 cups of cold water overnight. Next morning, briefly boil and strain. Sip 1 cup 1/2 hour before meals. Decoction: Gently simmer 1 tablespoon of finely chopped fresh, dried or powdered root in 3 cups of water for 10 - 15 minutes. A tasty combination-approximately 1/4 teaspoon of dandelion root, fenugreek seeds, and marshmallow or hollyhock root. Prepare as the decoction above. As food: The leaves can be eaten whole, can be chopped and sautéed in virgin olive oil with onion and garlic, or cut into salad. The young root melts on your tongue if halved lengthwise and sautéed in olive oil for five minutes. Dandelion tea as beverage: Steep a 1/4 teaspoon of leaves in 1 cup of boiled water for 3 minutes. Dandelion root tea as beverage: Dandelion root is considered a bitter tasting tea. However, lightly prepared dandelion root tea tastes earthy-sweet. Simmer 1/4 - 1/2 teaspoon of root in 2 cups of water for 5 minutes for a gently sweet medicinal. Dill, both the seed and the leaf, has a reputation for treating flatulence and colic in a baby through mother's milk. As a spice it is used to flavor salad dressing, sauces, bread, eggs, cottage cheese, minced meat, chicken, vegetables, in pickling, and fish and shellfish dishes. Dill is an umbel seed and shares the following properties: estrogenic and relaxing (sedative); supports digestion, eases colic and flatulence (may ease a baby's colic through the mother's milk), and aids in treating bronchitis and bronchial asthma (anti-spasmodic). Pregnancy: Ayurvedic medicine from India warns against taking large amounts of warming herbs, including dill, during pregnancy. Caution: Traditional Chinese Medicine warns that mothers who tend to develop breast infections should not take large amounts of warming herbs, such as umbel seeds. Sources: Spice section of grocery stores; health-food stores, Asian stores, online stores. Tea: 3 - 6 cups a day. Steep 1 teaspoon of the crushed seeds in a cup of boiled water for 10 - 15 minutes. For flatulence in the mother, sip a cup of dill tea 10 minutes before meals. Sip throughout the day to treat colic in the baby through your milk, or for use as a galactagogue. 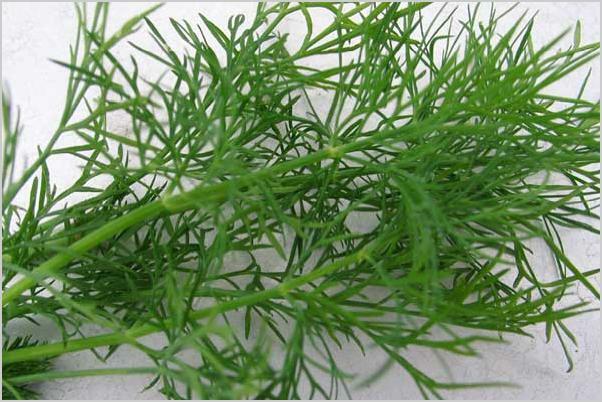 Decoction: The ancient Greek doctor, Dioscorides, recommended a decoction of dill to "bring down the milk." He may have been referring to the letdown reflex, but he may also have been referring to a delay in the onset of milk production after birth. A remedy from India uses dill for delayed onset of milk production: Soak 3 tablespoons of dill seed in a quart of water over night, and next morning, gently simmer until half or more of the liquid has evaporated off. Sip throughout the day. Dill seed tea as a beverage: Lightly steeped dill tea has a satisfying flavor. Steep 1 teaspoon of the seeds in a cup of water for 3 minutes. Sweeten to taste. Breast infection / mastitis: Echinacea can help stave off inflammation of the breasts that might otherwise require antibiotics. Echinacea is thought to be most effective against breast infection if taken at the first sign of tenderness or redness. A quick response with echinacea almost always wards off infection. However, studies suggest that echinacea may have less effect, and may over-demand and thereby weaken the immune system if used on a regular basis to prevent infection. 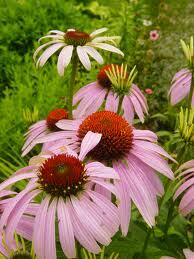 Do not take echinacea unnecessarily as a so-called preventative measure. Proceed normally to ward off mastitis: feed often and position your baby so that his chin is on the same side as the inflamed area to be sure that that area is well-drained. Contact your local LLL-leader or lactation consultant for guidance on treating breast infection. Early response usually makes the use of antibiotics unnecessary. Allergy: Persons who are allergic to the daisy family (Asteraceae) may be allergic to echinacea -especially the leaf and flower-and should use it cautiously. Try to get a tinctured product made only with the root. Warning: Echinacea is not to be used for a prolonged period of time (longer than eight weeks), because of concerns that it could exhaust the immune system through over-stimulation. Warning: Echinacea is not to be used in treating tuberculosis, leukosis, collagenosis, multiple sclerosis, AIDS, HIV infection, and other autoimmune diseases. Warning: Echinacea must be taken under medical supervision if you have diabetes. Sources: Health food stores; drug stores; herbal pharmacies; online stores. Capsules: Follow dosage directions on the package. Tincture: General dosage suggestions are to take 15 - 30 drops, 3 - 5 times the first day, and reduce to 3 times a day for following days until the inflammation has resolved. 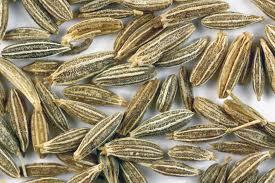 Fennel is highly regarded as a galactagogue-both the root as food, and the seed as an herbal medicinal. Taken at a high dosage for a few days, fennel seed can increase milk supply and improve both the mother's and baby's digestion, through her mother's milk. However, in Traditional Chinese Medicine, fennel seed is said to have a drying quality that will reduce milk production if taken at a high dosage over a long period of time. 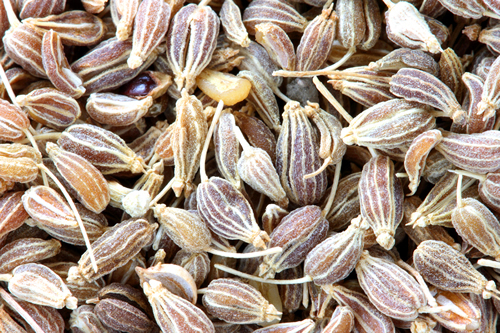 Fennel seed is a common ingredient in a lactation herbal mixture, or can be taken as a "single," or alternated with other lactogenic beverages. Pregnancy: Ayurvedic medicine from India warns against taking large amounts of warming herbs, including fennel seed, during pregnancy. The best known and most frequently taken galactagogue in the US is fenugreek seed. Originally from Asia, fenugreek was not known in Europe and the west until recently. Ironically, it is not recorded in any traditional western herbal as a galactagogue. Fenugreek has medicinal effects in common with other galactagogues. Fenugreek enhances perspiration, relaxes (natural mild sedative), is used to support the liver, and also contains very high levels of phytoestrogen. Based on its century-old reputation for increasing breast-size, it is possible that its phytoestrogen specifically targets the breast. Fenugreek also loosens and discharges lung congestion. It soothes the intestine, and reduces flatulence. Fenugreek also lowers 'bad' cholesterol and relieves water retention. Though most mothers with low milk production respond quickly to fenugreek seed tea, capsules, or tincture, not all do. Some mothers see more success when they take fenugreek in combination with other herbs. If you do not respond well to fenugreek, open a capsule to check the freshness and quality of the powdered herb. It should have a distinct color and smell. If not, the herb may be old and may have lost its therapeutic effect. Buying a fresher product may solve the problem. Fenugreek usually increases milk production within one to three days, though for some mothers it may take four to five days to see an effect. Lactation experts say that when a mother's perspiration and urine smell like maple syrup, an optimum dosage has probably been reached. (In India, people eat fenugreek seed especially for this 'perfume.') However, some mothers do not see an increase in their milk supply with fenugreek alone. They may need to try fenugreek as tincture, or take it in combination with other lactogenic herbs. If you do not see an effect, in spite of using a quality product and smelling like maple syrup, talk to your lactation specialist about alternatives strategies such as one of the herbal-combinations described below. 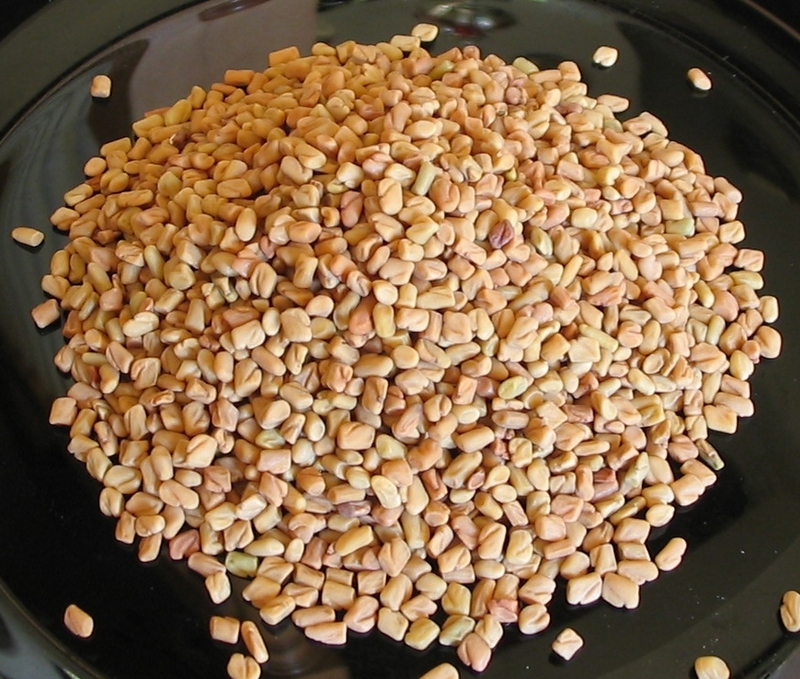 Pregnancy: Do not take fenugreek seed during pregnancy. Allergy: Mothers sometimes develop asthma or wheezing when they take fenugreek. This is an allergic reaction. Mothers who already have asthma may see it triggered if they take fenugreek. Women who are allergic to fenugreek may also be sensitive to chickpea and peanut. Side effects: Occasionally, mothers experience nausea, faintness, diarrhea, or running sinuses from fenugreek. These symptoms usually pass in a few days though. Fenugreek seed occasionally triggers migraine headaches and high blood pressure. Hypoglycemia: If you suffer from low blood sugar, you could possibly feel light-headed or fatigued while on fenugreek, though this side effect is reported very rarely. Baby: Babies may become fussy when the mother is on high-dose fenugreek. Some babies become gassy and have runny stool. This usually passes in a few days. Diabetes: Only use fenugreek under the guidance of your doctor if you have diabetes. Blood-thinning medication: Only use fenugreek under the guidance of your doctor if you are taking blood-thinning medication. Capsules: Try one capsule the first day to see if you have an allergic reaction. If you do not have a reaction, then take 3 capsules, and then 6 capsules a day, divided into three dosages, taken before meals. Add one additional capsule per day and build up to 9 per day. This is considered standard dosage, though some mothers take larger dosages. Gauge your reaction carefully, and ask your lactation expert and doctor for guidance if you are unsure about your optimal dosage. n some sensitive women, a very low dosage of fenugreek does increase milk production. One woman reported seeing significant improvement with only 2 capsules per day. Tincture: Fenugreek is frequently a main ingredient in lactation tinctures. Follow the dosage directions on the package. Tea: Fenugreek seed can be steeped, infused, or decocted, and can be adjusted to be mild and delicate or potent and bitter. Add a natural sweetener to taste. Sheila Humphrey in "The Nursing Mother's Herbal" recommends steeping 1 - 3 teaspoons of whole seed in 8 oz. of boiling water for 5 - 10 minutes, or longer. Infusion, cold: Set fenugreek seeds in cold water and soak for several hours or over night. Strain off the liquid, refrigerate, and if desired, warm each cup gently before drinking. David Hoffmann in "Holistic Herbal" suggests that mothers decoct (gently simmer) 1 1/2 teaspoons of slightly crushed fenugreek seeds in one cup of water for ten minutes, and, for a more flavorful taste, add 1 teaspoonful of aniseed to the decoction. Drink three times a day. Combinations of fenugreek seed with other herbs are popular in the US though virtually unknown in Europe. These combinations might as well be called "traditional American." 1. Dosage may vary, depending on the size of the capsule and the quality of the herb. Generally speaking, mothers have to use a higher dosage than is recommended on the package. Start with a low dose and build up until you notice a difference in your milk supply (see general recommendations below). Maintain that dosage to see if your production remains stable. Continue taking the herbs for a few weeks, and then slowly wean from the supplements. Increase the dosage again if your supply drops. 2. Combine fenugreek capsules with capsules of one or more of the following herbs: alfalfa leaves, red clover, marshmallow root, blessed thistle. 3. Choose the combination that best suits you by reading up on each of these herbs in their individual sections. 4. As with most supplements, capsules of herbal supplements should be taken before a meal. Fenugreek capsules: Up to 3 capsules, 3 times per day. Alfalfa leaf capsules: Up to 3 capsules, 3 times a day. Blessed thistle capsules: Up to 3 capsules, 3 times a day. Marshmallow capsules: Up to 3 capsules, 3 times a day. Red Clover: Up to 3 capsules, 3 times a day. Mothers using fenugreek or other galactagogues long term : While most mothers use fenugreek for only a short time to give their supply a boost, others depend on fenugreek and other herbs or foods to maintain their supply. Some mothers find that fenugreek or other herbs or foods lose their effect with time. The solution is to take other herbal galactagogues for a few weeks. You will probably find that your sensitivity to the original herbs or foods is restored at a later time. Goat's rue belongs to the family of the legumes. Lactation consultants have noted that goat's rue seems especially helpful for mothers with insufficient glandular tissue of the breast. Goat's rue balances blood sugar levels, possibly improving insulin sensitivity. 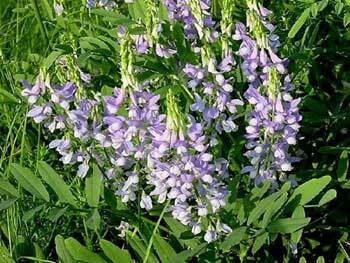 If you are diabetic, discuss the use of goat's rue with your doctor. If you have symptoms of hypoglycemia, consult your doctor. Pregnancy: Good general safety rating, but no extensive testing. 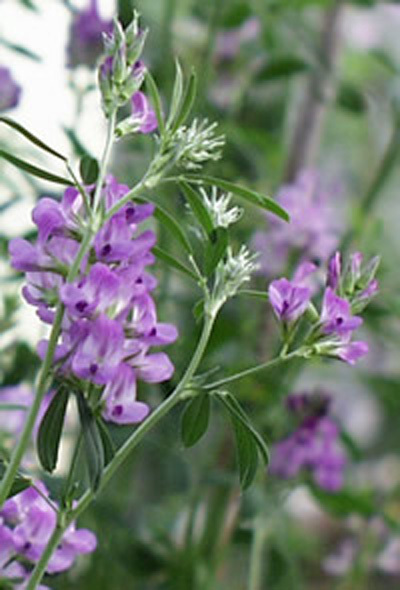 Take goat's rue well beneath therapeutic dosage, for instance, one mild cup of tea a day. Mothers needing the medicinal effects of goat's rue during pregnancy might consider taking metformin instead, under the guidance of their doctor. Side effect: Can lower blood sugar. It should not be used by diabetics except under the guidance of your doctor. Warning: The fresh plant is considered to be toxic, but the dried plant is safe to use as tea. Sources: In bulk as tea or as tincture at special herbal pharmacies and online stores. Tincture: Take 1 - 2 ml of tincture, or 10 - 15 drops, 3 times a day. Tea: Pour 1 cup of boiling water over 1 teaspoonful of the herb, steep 5 -10 minutes. Drink 2 - 3 cups a day. Hops flowers are used in brewing beer, and provide beer with its color and bitter taste. They are also the source of beer's relaxing, golden glow. Hops are estrogenic and a strong relaxant. Pillows stuffed with hops flowers have been used traditionally to promote sleep. Taken as tea, hops are very bitter. Hops may be helpful in triggering the letdown reflex. A cup of hops flower tea is sometimes recommended in the evening to help a mother relax before bed. Pregnancy: Hops is strongly hormonal; avoid it during pregnancy. Allergy: Yes. Especially in people who farm and handle the herb. Caution: Some herbalists suggest that hops can increase melancholic feelings, and should not be taken by persons prone to depression. 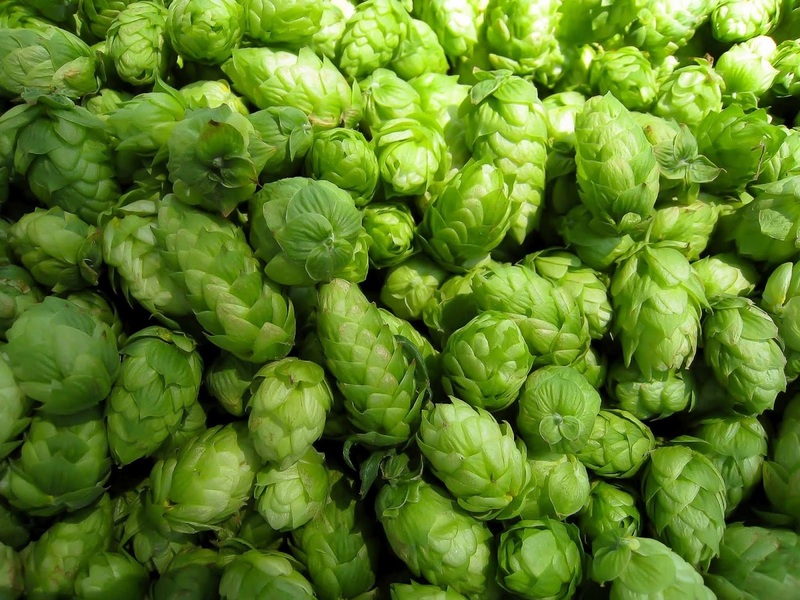 Caution: Mothers of lethargic babies should avoid large dosages of herbs that have strong sedative effects-such as hops-as these could possibly make their baby even more sleepy and unwilling to drink. Lethargic babies should be seen by their pediatrician as soon as possible. Tea: Pour 1 cup of boiling water onto 1 teaspoon of the dried flowers, and steep for 10 - 15 minutes. Take one cup in the late afternoon, evening, or before bedtime. The marshmallow root, a Native American galactagogue, is often used in combination with fenugreek, red clover, alfalfa, or blessed thistle. Marshmallow contains mucilage, a slimy substance that soothes and calms inflammation in the intestines, stomach, upper respiratory tract, throat, and mouth. Caution: Marshmallow root may delay the absorption of other drugs that are taken at the same time. It may lower blood sugar. Sources: Health-food stores; herbal pharmacies; online stores. Tea: Pour 1 cup of cold water over 1 tablespoon of root powder, and stir frequently while soaking for thirty minutes. Strain, and warm gently before drinking. Decoction: Per cup of water, add 1 teaspoonful of the chopped root, and simmer for 10 - 15 minutes. Take three cups a day. Sheila Humphrey recommends that if you are starting an herbal program, you may take higher dosages for a few days to kick-start your milk supply, i.e., take up to one handful of chopped root per cup of water. Capsules: Take 3 capsules, 3 times a day, in combination with other herbs such as fenugreek, blessed thistle, alfalfa, and red clover. The stinging nettle is one of our most nutritious herbs. It is a good source for calcium and iron, magnesium, manganese, phosphorus, potassium, selenium, sulfur, zinc, copper, chlorophyll, fatty acids, folate, plus vitamins K, B1, B2, B3, B5, C, and E. Its minerals help build blood, and it is useful in the treatment of iron deficiency. 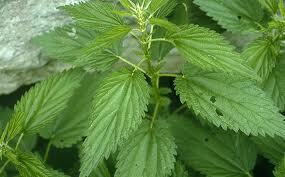 Nettle has an affinity for the kidneys, and a slight diuretic effect. Some women find that it helps reduce edema in pregnancy-but stay within normal dosage if you use it. Nettle is taken to treat conditions that in traditional medicine are associated with weakness in the kidneys such as bladder infections, eczema, bronchial congestion, asthma, arthritis, and rheumatism. It is also a natural antihistamine, and is used in treating hay fever, allergic asthma, and other allergic conditions. In various medical traditions, nettle is taken the first week after birth. Nettle helps the body restore blood that was lost during childbirth. In Asian medicine, the loss of only a few ounces of blood is thought to contribute to postpartum fatigue and depression, as well as to low milk supply. Warning: Use caution with nettle if you have diabetes. A study on rabbits showed an increase in blood sugar levels. Tea: Pour a cup of boiled water onto 1 - 2 teaspoonfuls of the dried herb, cover and steep for 10 minutes. Take 3 cups a day. To kick-start milk production, double this dosage, and take up to 6 cups a day. Infusion: In a quart jar, add boiling water, cover, and infuse overnight. Use a large handful of nettle. Combine with other lactogenic herbs, such as alfalfa, goat's rue, dandelion leaf, red clover, vervain, and the umbel seeds. Tincture: Nettle is frequently an ingredient of in lactation tinctures. Follow the dosage directions on the package. Red clover is another highly nutritious herb. It has a wide range of usages in traditional medicine, including use as a poultice to treat cancer, to reduce rheumatic pain, and to soften hardened glands. Like many galactagogues, red clover reduces fluid retention, helps expectorate mucus from the lungs, is antispasmodic, and a sedative, useful for cramps and coughs. Red clover, especially the sprout, is estrogenic; pastured animals that overdose on this plant become infertile-as if they are taking an estrogen-based birth control pill. The herb's phytoestrogen may be involved in its lactogenic properties. As a galactagogue, the flowers are taken as a capsule, together with supplements of fenugreek, alfalfa, and blessed thistle. The flower is frequently taken together with other herbs as an infusion. 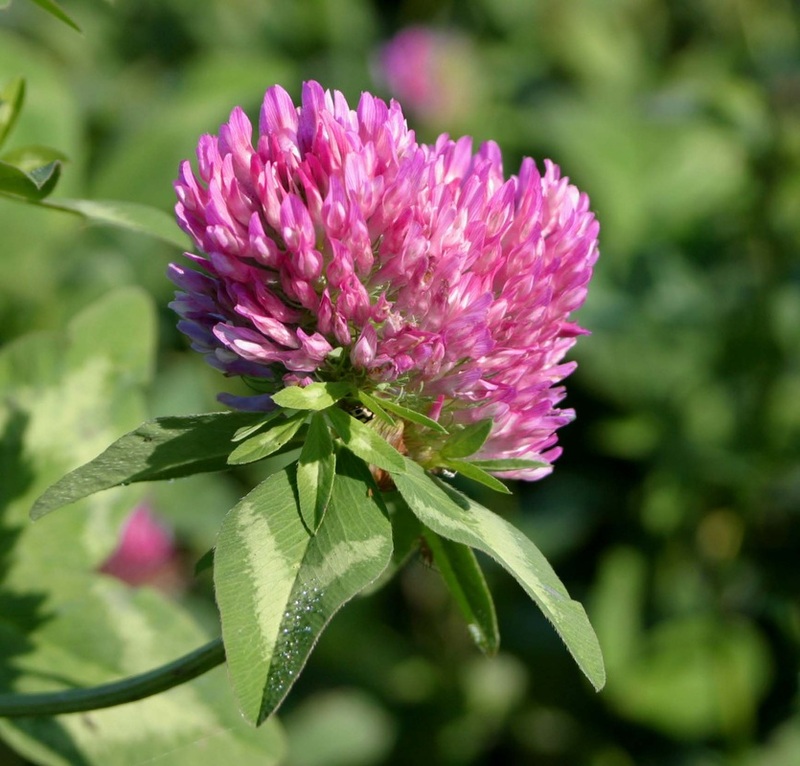 Use red clover with moderation during pregnancy. If you have red clover growing near you, use the fresh flowers in salad. Pregnancy: Use in moderate amounts, as one ingredient in an herbal tea mixture, for instance. Caution: Avoid red clover if you take blood-thinning drugs, aspirin, or hormonal birth control. Capsules: 2 - 3 capsules, 3 times a day, in combination with other herbs. Tea: Pour 1 cup of boiling water onto 1 - 3 teaspoons of the dried flowers, and steep for 10 - 15 minutes. Infusion: Add the herb to a mixture of other lactogenic herbs and infuse for several hours or over night. The raspberry vine is native to both America and Europe. The roots, leaves, and berries have long been appreciated for their nutritive value. Native Americans gave raspberry leaves to women and animals during birth to strengthen and speed delivery, and we learned this virtue from them. 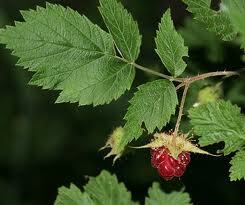 Today, pregnant women take red raspberry leaf to tone the uterus, and to prevent hemorrhaging during birth. Red raspberry leaf tea provides an excellent source of minerals and vitamins during pregnancy. It is thought it may help build breast tissue during pregnancy as do all highly nutritious lactogenic teas. Humphrey records that it does not appear to contribute to over-supply after birth. Red raspberry leaf is said to bring on the milk and make it richer. Caution - low milk supply: Raspberry leaf tea is astringent (tightens and constricts bodily tissues) and taken as a "single" can be anti-lactogenic for women who are sensitive to this effect. For these women, it is probably safe to use red raspberry leaf as one ingredient in a lactation tea mixture. Pregnancy caution: Red raspberry tea may stimulate the uterus. To be on the safe side, build up dosage slowly, beginning with one cup per day for a week, two cups per day next week, and so on up to four cups per day. Consult your doctor before taking raspberry tea if you are at risk for miscarriage. Mothers take up to a quart of red raspberry leaf tea per day during pregnancy. See above. Red-raspberry tea is said to promote milk production the first week postpartum, though stinging nettle or alfalfa may be the better herb if there is risk of low milk supply-see above . Red raspberry leaf as a mild beverage: Steep 1/2 teaspoon of dried leaves in 1 cup of just-boiled water for 1 - 3 minutes. Sweeten with a natural sweetener to taste. Anise, caraway, cumin, dill, fennel, and lovage, (used as a galactagogue in France), grow clusters of small flowers, called umbels. Each tiny flower is linked by a small stem to a central, larger stem. These small groups are linked to a still larger stem, forming larger clusters. In traditional medicine, umbels are said to have an affinity for breasts. The shape of the umbel reminds one of milk glands, connected by milk ducts to the areola; such look-alike factors can play a role in the belief that a plant has certain effects. In the case of umbel seeds, experience shows that they do indeed increase milk production and improve the let-down. In one study, umbel seeds tested on rats generated greater mammary tissue growth than was seen with rats on a control diet. Umbel flowers produce small, aromatic seeds that are used as digestives, carminatives, and, as galactagogues throughout the world. As spices, these seeds are part of the diets of peoples across Eurasia. However, because some umbel plants and seeds are toxic, wild harvesting is not advisable unless you are very knowledgeable. They promote milk production and possibly improve the let-down. Because they are anti-spasmodic they aid in the treatment of bronchitis and bronchial asthma. Pregnancy: Western medicine warns against taking large amounts of anise and caraway during pregnancy. Ayurvedic medicine from India warns against taking large amounts of all umbel seeds during pregnancy. Caution: Traditional Chinese Medicine (TCM) says that "warming" herbs, such as the umbel seeds should not be taken in large amounts by mothers who tend to develop breast infections. According to TCM, these mothers typically have dry skin and hair, and tend to get rash or eczema. Caution: In Germany, a lactation tea has been produced for decades by Weleda containing equal amounts of stinging nettle, fennel, anise, and caraway seeds. The producers warn that taking more than three cups a day can lead to loose stools in the mother and baby. Umbel seeds can be taken individually, together, or combined with other herbs to make a lactation tea. They can be infused overnight in cold or hot water. Traditionally, they can be decocted, or steeped as tea. Umbel seed tea: Gently crush 1-2 teaspoons of the seeds, and add one cup of boiling water. Cover and steep for between 5 - 20 minutes. Longer steeping produces a more potent tea. Sweeten to taste. Umbel seeds as a beverage: Steep 1 - 3 minutes for a milder taste and effect. Infusion: In Eastern Europe, umbel seeds such as anise, given to breastfeeding mothers to promote milk production, are covered with boiling water and infused for four hours. In India, umbel seeds are placed in cold water and soaked overnight. The liquid is strained and gently warmed before drinking. This way, none of the volatile, medicinal oil is lost to steam. The usual recommended dosage is 3 cups a day. To increase milk production, take up to 6 cups a day initially, as necessary, observing your reaction, and your baby's reaction. If you or your baby get loose stools or become gassy, reduce the dosage or try other galactagogues. To treat flatulence, drink umbel seed tea slowly before meals, or take it in sips throughout the day. Valerian root is not a galactagogue, but it is listed in the MOBI Herbal because it can be useful to mothers suffering from sleep deprivation. Valerian has been shown to improve sleep quality-though it does not reduce waking times during the night. In one study, best results were achieved after four weeks of taking an extract of the whole valerian root. Other studies, based on commercial brand products, did not show significant benefits. Mothers who are sleep-deprived because their baby frequently wakes during the night may find relief with valerian tincture. Even when waking to feed her baby, a mother will remain physically and emotionally relaxed and will easily slip back into deep sleep. If she takes the "right-for-her" dosage, she will not feel drugged or lethargic, but rather, relaxed and refreshed. If you are suffering from sleep deprivation or from stress, it may be wise to take a vitamin-mineral supplement and an additional vitamin B-complex, vitamin C, magnesium, and zinc supplement. The body depends on these nutrients during times of stress and they become depleted. 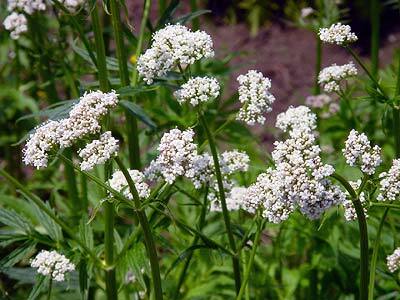 Pregnancy: Do not use valerian during pregnancy except under the guidance of your health care provider. Warning: Valerian should not be taken by persons who also drink alcohol, or take sedatives, or antidepressants, including the herbal antidepressant St. John's Wort. Caution: A review of studies has shown that valerian is a potent but safe sedative that does not lead to addiction. Like all sedatives, however, it should used cautiously while caring for a baby. Caution: As with all sedatives or antidepressants, be extra careful when driving or using machinery. Caution: If you co-sleep with your baby, make sure to arrange your sleeping positions so that there is no danger of your baby suffocating in bed. Discover your individual dosage. Taking too large a dosage can lead to a drug-like sleep with the mother feeling as though she has a hang-over next day. With herbal tinctures, the dosage can be fine-tuned. Although 30 - 40 drops of valerian before sleep is the recommended dosage, 3 - 10 drops may be sufficient for mothers who respond more sensitively to herbal medicinals. Take valerian before going to bed if you are taking it specifically to help you sleep more deeply. Take it in small dosages during the day if you are using it to help calm your nerves. Do not overdose. It may take up to four weeks for the herb to unfold its full effect. Verbena, also called vervain, or lemon verbena, was a holy herb of women in ancient days. It is an estrogenic herb, a liver tonic, and a digestive. It is calming, mood-lifting, and is said to prevent depression from developing. It is particularly useful after a viral infection, such as a cold or flu to prevent exhaustion from lingering, and to restore a strength. Because verbena fortifies the nerves while relieving tension, it is a nervine tonic. It is also an antispasmodic. Verbena helps relieve tension headaches, menstrual cramps, and asthma. All species of verbena are said to promote milk production. 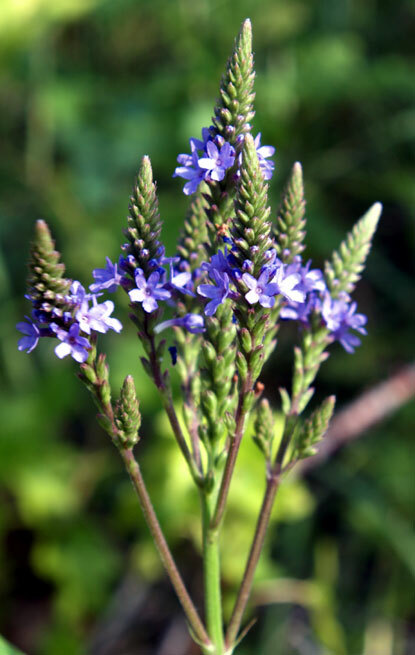 Pregnancy: Some experts suggest avoiding verbena during pregnancy. Verbena's effect on the uterus is not understood. Warning: Verbena may interfere in the action of medication for blood pressure or hormone therapy. Warning: Although traditionally a galactagogue, Traditional Chinese Medicine sees verbena as having a drying property. According to TCM, when verbena is over-used regularly it may decrease supply. Breastfeeding mothers should cautiously alternate verbena with other teas or beverages. Medicinal tea: Pour 1 cup of boiling water onto 1 - 3 teaspoonfuls of the dried herb and steep for 10 - 15 minutes. Drink three times a day. Verbena tea as a beverage: Verbena has a delightful taste. A light tea is made by steeping 1/2 - 1 teaspoon of dried herb for 1 - 3 minutes in a cup of boiled water. Add stevia or other natural sweetener to taste. Back to "Foods, Herbs & Medicines"